This summer, I had the opportunity to photograph two unconventional weddings. 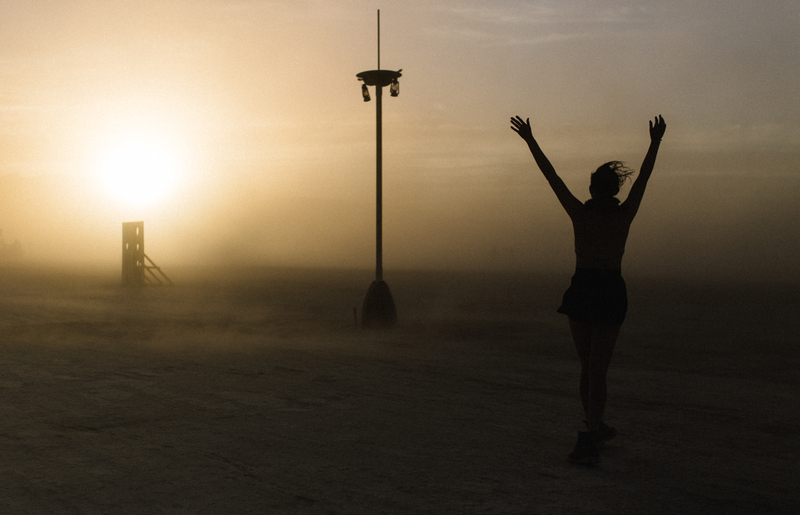 They took place in Black Rock City at Burning Man. 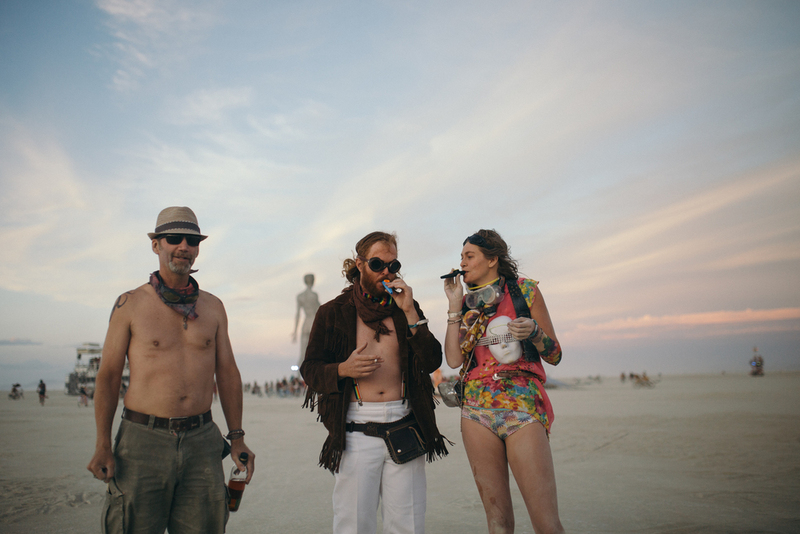 A little background for those who are unfamiliar...Burning Man is an week long experiment in community. 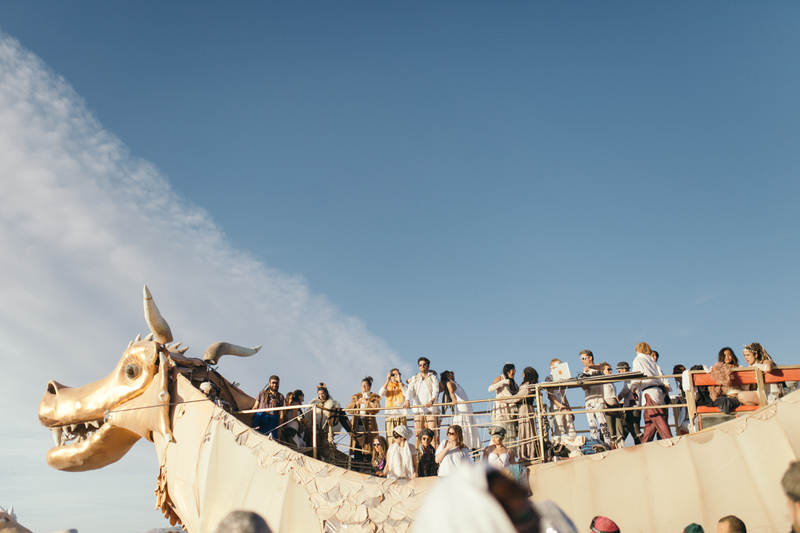 Thousands of people come together in a desert in Nevada to participate in a society that is guided by principals of self-expression, radical inclusion and gifting. It's foundations of freedom, growth and love make it a fitting place for people to declare their love to each one another. 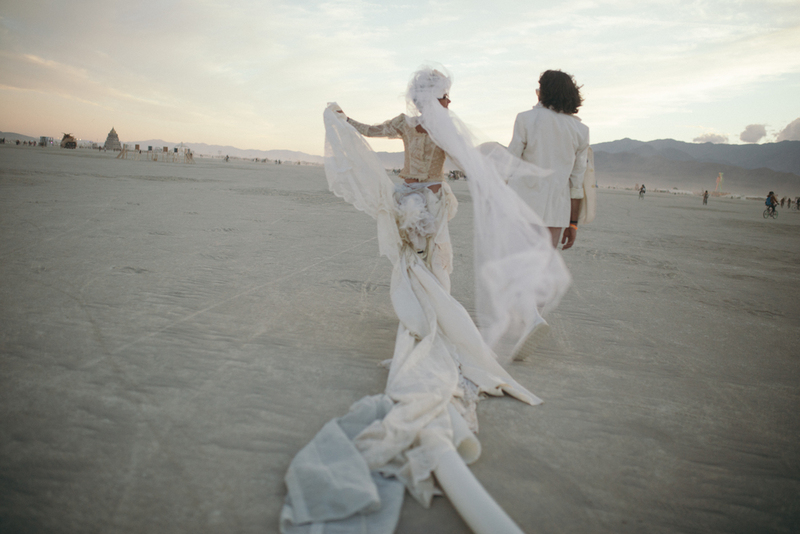 I was so excited when I came across both of these weddings taking place on the playa. 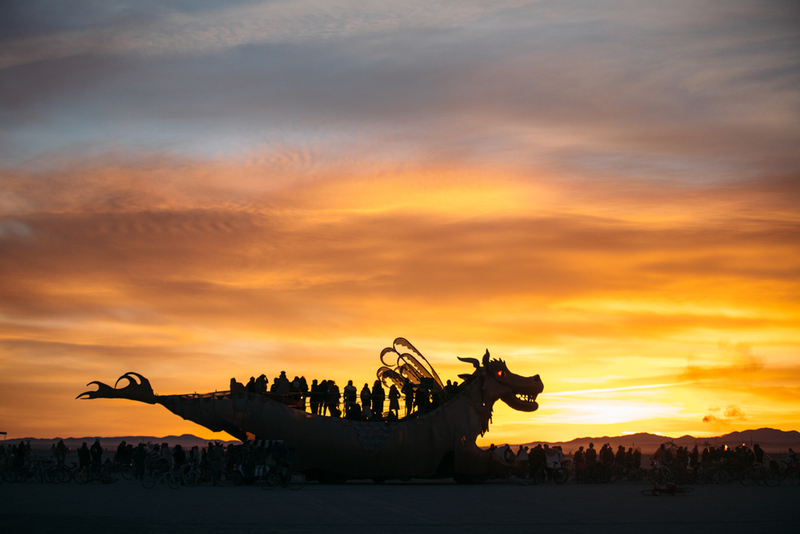 One happened at sunset near an enormous wire statue of a woman. This couple celebrated with only three friends present, each one blowing a kazoo in celebration. 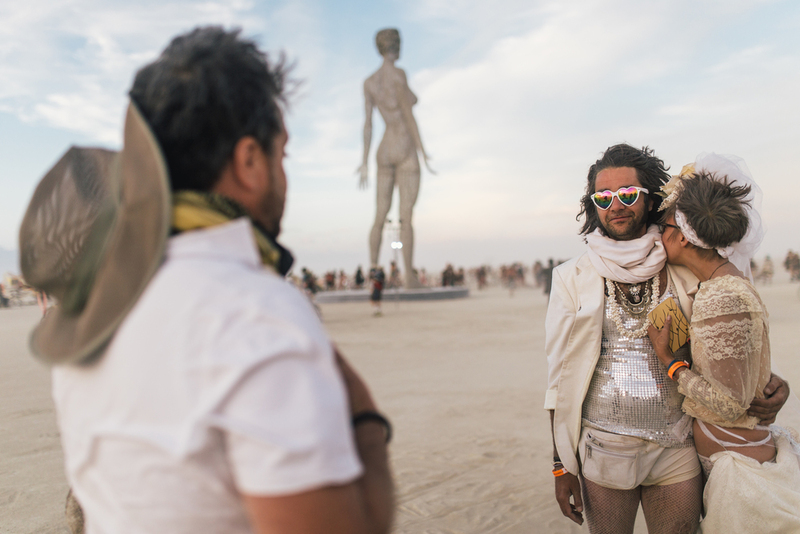 The brides' white attire was made up of white materials she collected in and around their camp, and the groom wore white short-shorts and heart shaped sunglasses. They walked off into the sunset holding hands. It was truly a white wedding. 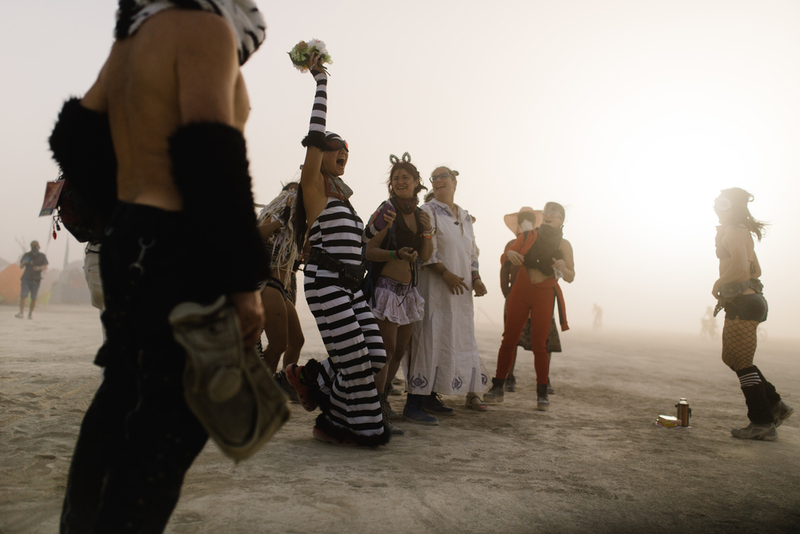 The second celebration I witnessed happened during a major dust storm on the playa. 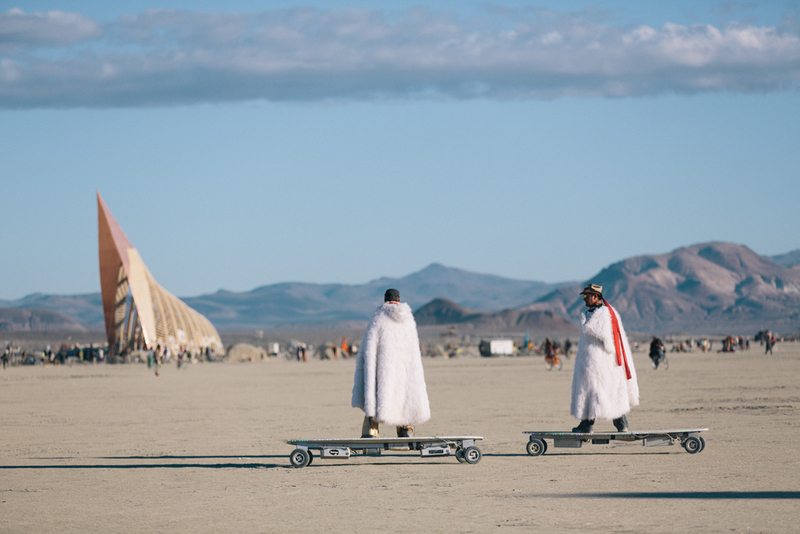 Gusts of wind blew the fine playa dust around, coating everything with a beige hue. The bride was dressed as a winter fox with a tail and ears to match, and the groom, another furry creature of sorts. This ceremony was complete with a bouquet toss and toast at the end. Both ceremonies were short, less than 10 minutes, and both were perfect. I snapped some photos throughout and hugged the other witnesses, so thankful to be part of the experience. 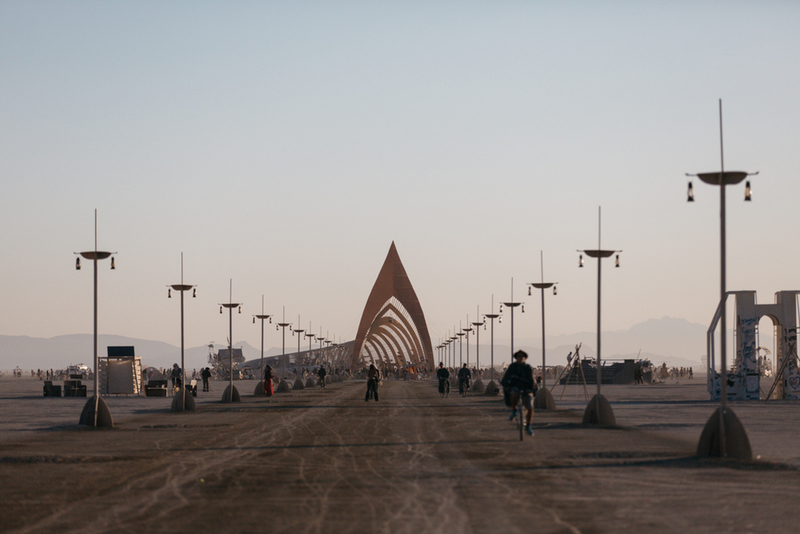 Here are a selection of photos from both ceremonies and a little taste of the unique venue, Burning Man.